I get so excited when I see my clients featured in their local newspapers or on the local radio. It’s such incredible FREE marketing for your business. You don’t need me to tell you that though. We can often feel intimidated by journalists but remember they often have a tough job trying to fill their papers and ‘air time’. They are crying out for decent news!! It’s something that is well…NEW! It’s something that’s different and that people are interested to read/hear about. It could be a new launch, announcement, success story, tips on a hot topic or even controversial comment. You have a stand-out story, I’m sure of it. You did a survey and it revealed that _____. You’ve got something to say that you know will ruffle a few feathers. You’ve just helped someone achieve an amazing feat. Your book has just come out. You’re the only person in your industry to specialise in ______. You’re running a workshop that they’d be interested in. Just like my client, Jill Stander, having her ‘New Year, New You’ workshop featured (see photo below). OKAY SO YOU HAVE A GREAT STORY. WHAT NEXT? Decide who you want to reach - who is your Ideal Client. Find out which radio stations/newspapers they’re likely to listen to/read. Not sure? Ask them! Gather contact details for relevant journalists and editors. Try Twitter and LinkedIn. Don’t go for generic email addresses like news@ because they’ll likely not get checked. You want specific names! Do your research. What kind of stories do they cover? Write an email pitch or press release. Local newspapers are often short-staffed, so a well-written press release, with all the relevant information may be printed with very few changes. There are plenty of examples of press releases on the web. Outsource if you’re not confident in your writing skills. Use an email subject line that includes the phrase 'story idea' and a compelling one-liner that describes your story. It's absolutely fine to pitch ideas over the phone too. Just avoid obviously busy times. 6. Be prepared to follow up! Have you been wanting to get yourself and your business OUT THERE but either aren’t sure you have anything decent to contribute or the thought terrifies you?! Get in touch with me, this is exactly what I am passionate about helping my clients to do. If you’re a business owner struggling to know where to focus your time and energy in order to become profitable, this episode is for you! It’s all too easy to get to the end of the day (or week!) and have spent all that time doing ‘busy-work’ but not feel like you have much to show for it. I know you work hard and I know you want to optimise your time. In today’s video, I’m sharing my TOP Money Making Activities so that you no longer feel like you’re spinning your wheels and instead can spend your time on activities that generate new leads and clients! In the video below, I talk you through 8 different money making (i.e. client attracting) activities to do in your business every week. *Please note you must ensure you are GDPR compliant when collecting any/all email addresses. You CANNOT just collect email addresses and start sending people promotional emails - this is against the law. You must make it very clear what people are signing up to. Please contact a lawyer to help you with this, if you are unsure. What other ways have you found are effective money making activities to bring you clients? I’d love to know, please share them in the comment box below. One of the things that I find really helps me to plan out my days and weeks in my business is to assign a timeframe to a task. The problem is that there are some things I do that I never used to have a clue how long they would take. For instance, I’d write ‘Send email/newsletter to my list’ but then I’d schedule an hour and wonder why it seems to take me all flipping afternoon and the other things on my to-do-list didn’t get done. So, one day I decided to write out EXACTLY what ‘Send email/newsletter to my list’ entailed and I was shocked to think I could do all that from scratch in one hour. It was the same for my blog posts. I’d wanted to add regular posts to my website but since I’d never looked at all the action steps involved, it always felt like an overwhelming task (that I then put off!) because I didn’t get why writing a few paragraphs and then hitting PUBLISH seemed to take me sooo much longer than I expected. Sit down with a pen and paper and write out all the steps involved BEFORE you even hit ‘publish’ on your site. Then write out all the action steps involved AFTER you’ve published it. There’s no point creating great content if no-one gets to see it so sharing and marketing your blog are just as important as actually writing it. Assign a time to each task to give you a much clearer idea of how long it will take. Now, everyone works differently so your list of tasks may look very different to mine. But I know I love to see how other people work and my clients tell me it really helps them to hear how I plan out content and implement the actions steps in my business. ONGOING = Come up with ideas – keep a constant list of ideas in a book for when inspiration strikes. 1. Decide on idea/specific content for blog post. 2. Set aside time and a quiet space with no distractions (turn phone onto airplane mode). 3. Write out main points to the blog post. 4. Add detail to points. 5. Create title for post with keywords for SEO. 6. Decide which opt-in/service/blog will be the best to share so people continue reading on. 7. Write a clear CTA (call to action) linked to #6. 10. Decide on tags/category relevant to blog. 11. Record reading of blog post. 12. Change any typos noticed when recording. 13. Final spell check and proofread. 14. Send recording to Dropbox. 15. Decide the day it will be published. 16. Add blog text/copy to website (if not already typed into it). 17. Sort layout of blog and choose text colour/size. 18. Choose and add image that will relate to post. 19. Upload blog recording to website/blog. 20. Create Pinterest size graphic for people to share from the blog. 21. Set date to publish. 22. Set alert on phone/calendar to remind me of date. Create copy for email to be sent out. Decide on subject line for email linked to blog. Create copy for social media. Create tiny url (or bitly) link. Email out to my list. Share on Twitter (if you use it). Highlight the tasks that can be outsourced to a VA (virtual assistant), even if you aren’t ready to hire someone yet. It will give you a really clear idea of where YOUR time needs to be spent and where you’re spending time that could be given to someone else. Are there any other steps that you do (or think you need to do)? I’d love to hear them. Please comment below and share with anyone you feel would benefit from these tips too. Want help with content planning? Email marketing is still one of the most effective ways to grow your client base and get paid to do what you love. It’s not the ONLY way but it’s definitely an area you can’t ignore. The first step is having a compelling reason for people to sign up to your list in the first place. This is where you’ll create a value-packed freebie (called an opt-in or lead magnet). I have a video training on this in my Facebook group. Then, ideally, you’ll set up a series of welcome emails for your new subscribers to get to know you. Again, I’ve discussed this in videos in my free group. I’ve talked about the importance of email marketing many times, so let’s discuss HOW you can actually get more subscribers! Below is a video talking through 17 different ways you can position your landing page (the page they actually sign up with their name and email address) so you can grow your list. What other ways have you found are effective to grow your email list? I’d love to know, please share them in the comment box below. So, you run a service-based business? The chances are you show up on social media, you’re working on building your email list and have pitched yourself to both platforms; maybe you’ve made a few calls and even paid for some advertising. But if you’re like the majority of business owners I speak to, you’re wondering why you aren’t drowning in new clients. Especially when you feel like you’re doing ALL the things and are constantly working on your business. The truth is you most likely need to market yourself a hell of a lot more. By that I mean you need to PROMOTE yourself and your services constantly. I’m about to show you why. I can pretty much guarantee you aren’t marketing yourself as often as you think you are. I know because I was like that for years! You need to be SELLING/PROMOTING yourself and your business in some way every day. Below is a great article written by Thomas Smith in 1885. It’s as true today as it was then and in actual fact I think we could actually increase the timeline it tasks for someone to notice us. Take a look at the point at which people start to pay attention to a strong marketing message. This was using adverts as the point of focus but you could substitute that with ‘sales email’, ‘networking event’, ‘strong call to action on a post’. The first time someone looks at an advertisement, they do not see it. The second time, they do not notice it. The third time, s/he is conscious of its existence. The fourth time, s/he faintly remembers having seen it before. The fifth time, s/he reads it. The sixth time, s/he turns up their nose at it. The ninth time, s/he wonders if it amounts to anything. The tenth time, s/he asks their neighbour if they have tried it. The eleventh time, s/he wonders how the advertiser makes it pay. The twelfth time, s/he thinks it must be a good thing. The thirteenth time, s/he thinks perhaps it might be worth something. The fourteenth time, s/he remembers wanting such a thing a long time. The fifteenth time, s/he is tantalised because s/he cannot afford to buy it. The sixteenth time, s/he thinks he will buy it some day. The seventeenth time, s/he makes a memorandum to buy it. The eighteenth time, s/he swears at their poverty. The nineteenth time, s/he counts their money carefully. The twentieth time s/he sees the ad, s/he buys what it is offering. How does it make you feel to read that? Are you starting to realise that you need to be really SEEN a lot more than you thought? If you’re not sure what to do to market yourself effectively then you can download my FREE 36-page workbook that takes you through 23 different ways you can market yourself without spending a penny on advertising. Does the thought of SELLING yourself MORE send you into a hot TIZZY? Do you feel guilty, icky, or bad when sharing your offers or services online? Is one of your greatest fears that you'll come across as pushy or 'sale-sy'? Do you worry that if you promote your services/products too often you'll be viewed as spammy? 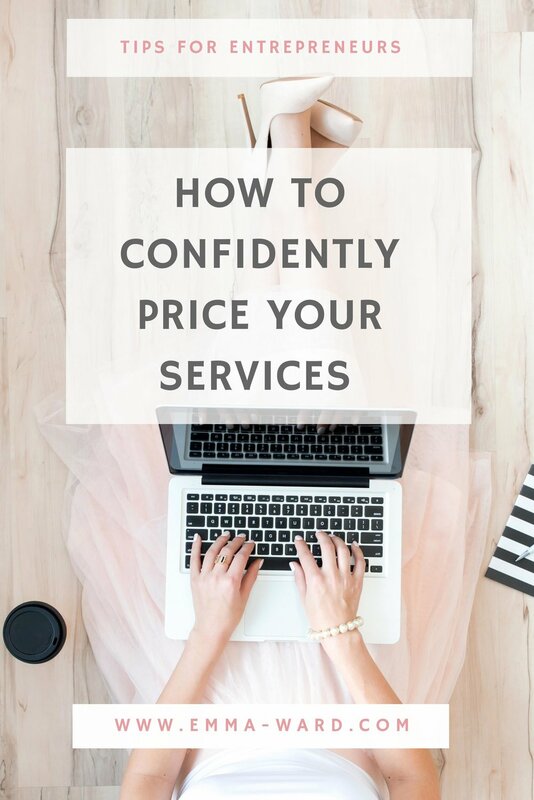 Does your confidence waiver when it comes to the 'sales conversation' with a potential client? 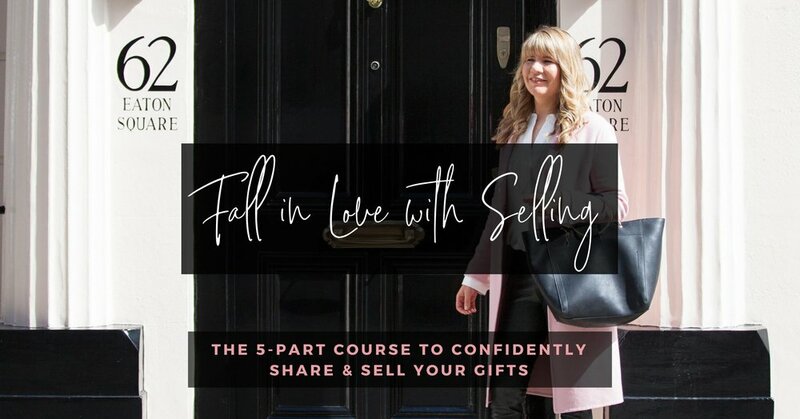 Then yoU’ll love my ‘Fall In Love with Selling’ course. 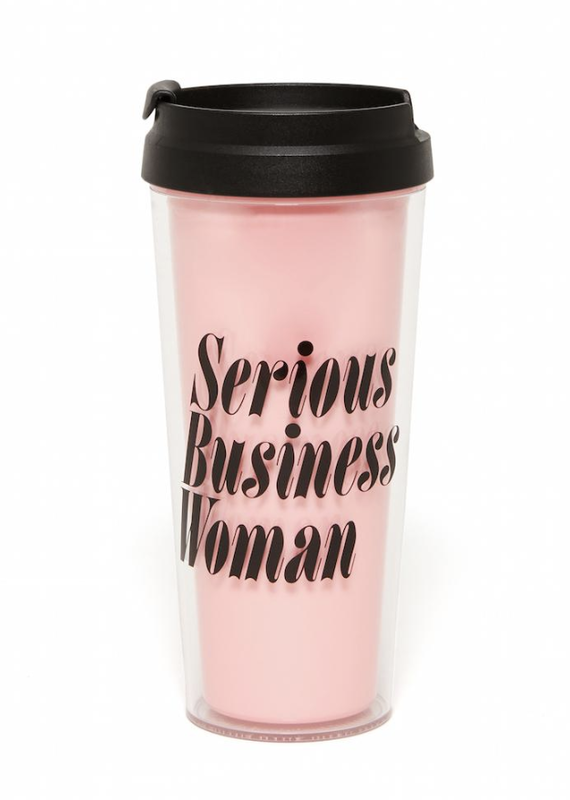 LOOKING TO FIND SOME GIFT IDEAS FOR AN INDEPENDENT WOMEN WHO’S WORKING HARD TO BUILD HER EMPIRE? Trust me, we make a hot drink and the next minute we go to take a sip and it’s ice cold. Click here and here for a great variety. Because who doesn’t love to write notes and feel inspired at the same time? Click here for a great range. There are some gorgeous candles and diffusers for her office and desk here. Make sure she’s eating regularly! This is the one garget I use in my kitchen more than anything else (except my kettle). It means I can whip up a healthy breakfast and start my day off quickly but healthily. There’ll be days she just wants to get out of the house and take her work with her. Don’t let her run out of juice! Speaking of juice, why not encourage her to work away from home more often. It does wonders for creativity and productivity. Every entrepreneur dreams of the day she can sit in her favourite cafe/juice bar and tap away on her laptop. But that doesn’t mean she makes it a reality all that often. Find out which coffee shops are local to her and get her a gift voucher. If you can get her one in her brand colours I can guarantee she’ll love it even more! Ask anyone where they get their best ideas and it’s when they are away from the laptop and phone and often just singing along in the shower. PING! Don’t let her great ideas wash down the drain. She needs to be doing more video in her service-based (and product-based) business, even if it terrifies her. Make life easier by buying her something that she can use with her iPhone and press, record and go! These are very personal though so unless she’s been sending you a few hints, I’d steer clear! Here are some gorgeous personalised ones. Whether she’s going LIVE on Facebook or Instagram, recording a YouTube video or featuring on a podcast, she’ll want to have a decent mic. Click here to see the one I recommend. 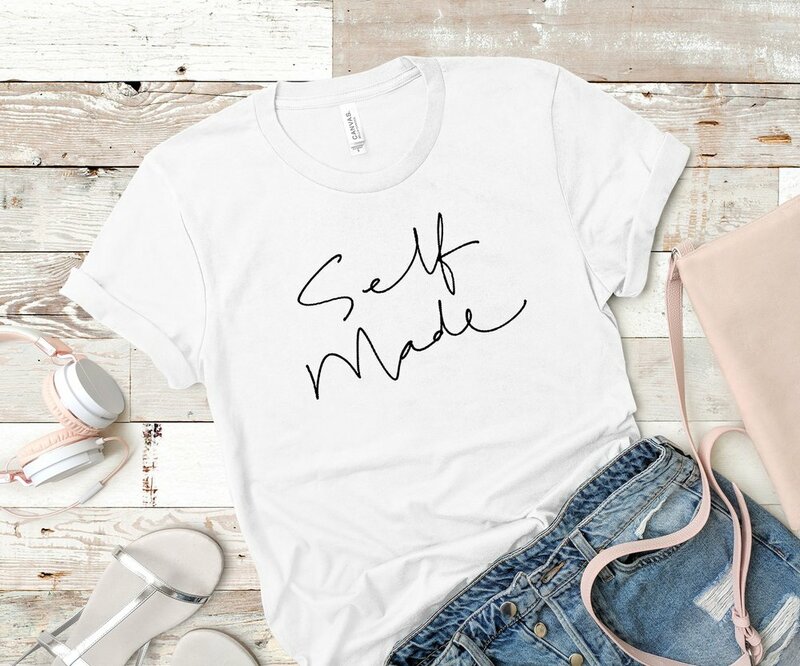 Because we don’t need much of an excuse to wear a comfy tee or jumper and if it can include a fun slogan so much the better! Click here for a gorgeous selection. Does she need more clarity on the next steps to take her business Next Level? The she’ll love my self-study courses. These will not only get her the clarity she craves and give her the step-by-step instructions to implement in her business to bring in more clients and money. Win-win. Clarity on exactly what she wants to do in her life and business. I can’t think of a better gift one that is quite literally life-and-business-changing! 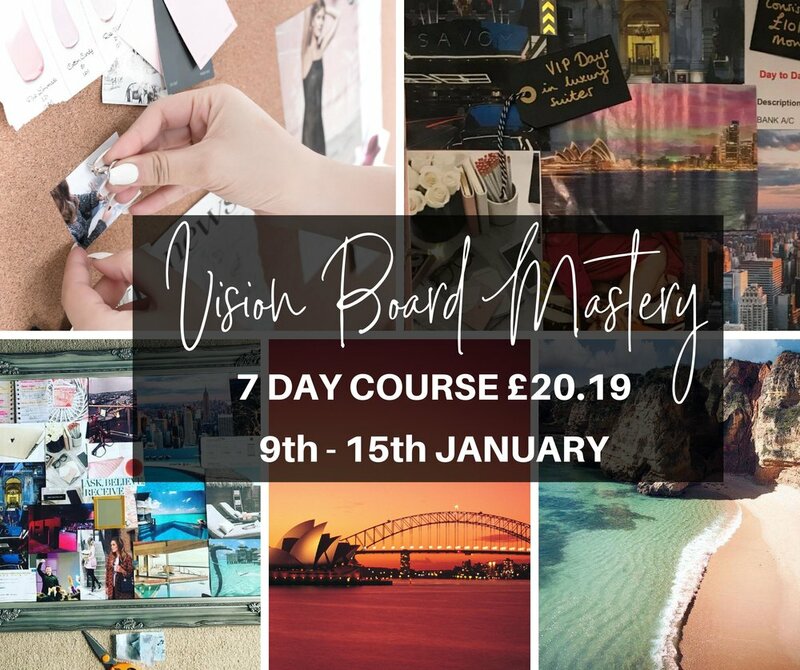 My Vision Board Mastery course is just £20.19 and I’m running it LIVE on 9th-15th January. The feedback has been amazing. Last year’s round of women manifested clients, money, upgrades, perfect bridge-jobs and love. She can join me and over 60 other women as we all create our vision boards for 2019. So, Instagram has brought out a new feature: Name Tags. I was having fun playing (ahem working) with it this morning. 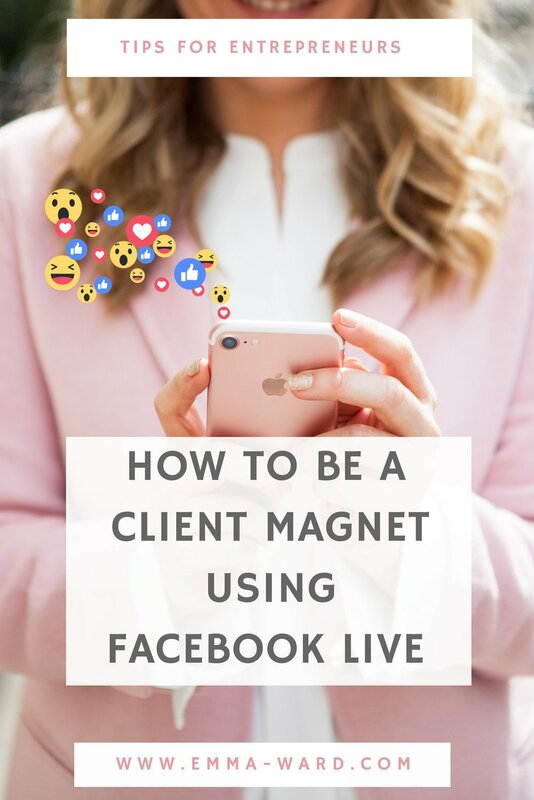 I've had lots of questions from people in my Facebook group about how to set it up and use it so thought I'd create a how-to guide on creating your own Name Tag, how to use the feature to find other people and most importantly...how this can help you grow your following and your business. Click the bottom right to get to your profile/feed. Click the Name Tag icon. Click the top bar to choose either an emoji, colour or selfie. If using an emoji, tap the one it gives you (smiley face) to change it to one that represents your business. 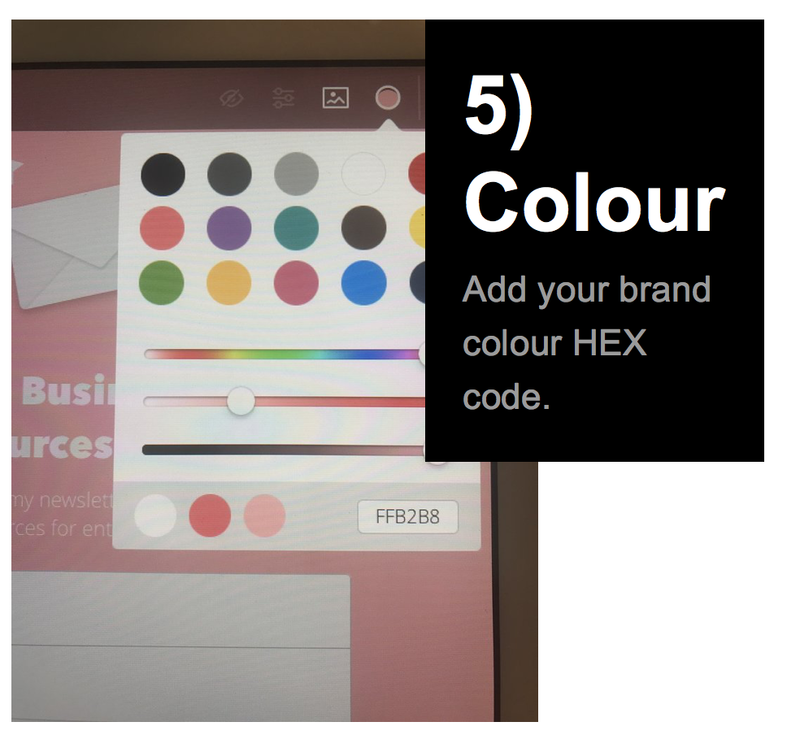 If using a colour, tap the background to change. If using a selfie, it will bring up the camera. Take your snap then click one of your little selfies to change to hearts, glasses or unicorn overlay! Then, you have the more obvious choices of: yoga/meditation, music, pens, books, pens, paint pallet, massage, manicure emojis, laptops, flashing camera, bride, engagement ring, lipstick, pregnant women, baby, fruit & veg and sooo many more . Have fun. Line up the Instagram icons so it can scan. It will then bring up their account and you can follow or view (I, of course, followed her :-)). you can save it to your photos. To share on social media and your website. This is not just for following your girlfriends when you meet up in-person. The idea is you will have your own scannable code. Once you're happy with your Name Tag, you can download it to your camera roll on your phone. 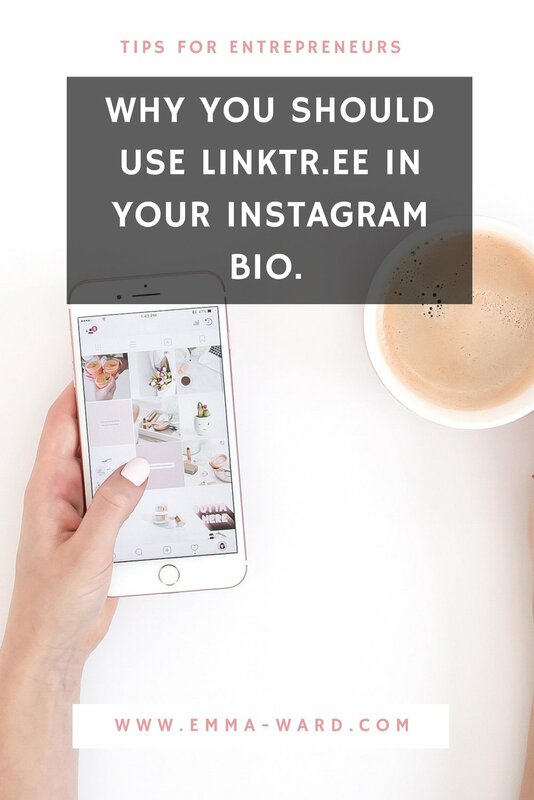 Then you can share your personalised Name Tag on social media and your website and people can whip out their phone, click on the nametag icon on the Instagram app and then scan to follow you without having to type in and search for you with your handle/name. Try it out on my Name Tag here. Obviously, this means you'd have to be looking at another device other than your phone/tablet to do this. It needs to be screen-to-screen. I'm also hoping, if you make it the right size to scan, then it would work added to printed marketing materials too like business cards!! Now THAT would be amazing. Such a fun new feature. I hope this how-to guide was helpful. Please feel free to write a comment below and if you're reading this on your phone I'll add an easy to follow clickable link to find me online (wink). Join my Facebook group where I share all things mindset and marketing to take your business to the next level. 23 WAYS TO MARKET YOUR BUSINESS FOR FREE! One of the women in my Mastermind was reading this amazing book by Jen Sincero. It's one of the mindset books on the reading list I give to all my clients. As you can see, Jen dedicated this book to Gina DeVee and that's who I trained with for a year to become a coach. Hearing this, she asked me to share my biggest takeaways from learning from the multi-millionaire. (I've actually hired 6 multiple 7-figure female entrepreneurs over the last 10 years because I love learning from the best!). Honestly, it comes down to knowing something else is possible (as in you CAN get paid great money to do what you love) and then being consistent about keeping your mind focussed on what you want (rather than what you don’t). As well as learning from these powerhouse women, I've read many books on money (over 50) and been studying and applying the mindset work in depth. Gina taught us to keep filling our mind daily with wealth consciousness books. The two she recommended are: The Science of Getting Rich by Wallace D Wattles and Think & Grow Rich by Napoleon Hill. When Gina finishes one she picks the other one up and starts reading it again. She reads at least 15-30 mins a day. I love TSOGR and will happily read that regularly. I prefer to listen to Think & Grow Rich. Then it's about changing your money ‘story’. Noticing when you're feeling negative around money and then switching the language around. As a child, we learn about money from our parents, society, religion, teacher, films, the media but that doesn't mean what we learn is true. The problem is, we can learn a lot of very limiting beliefs that we take on as fact when really, they have just been someone else's experience. Who says? I know it might seem to be the case when you look around you but there are thousands of people out there who bring in money and aren't busting a gut to do so. When we tell ourselves we have to work hard for money and we're entrepreneurs then that can become true for us and cause all kinds of stress and hardship. I know because this was one of my tough-to-shift beliefs. I often felt guilty if I had some passive income coming in and would either sabotage my efforts or force myself to work harder for it. This belief can lead to burn-out too. That has a very different energy and will produce very different actions and results. Take a look at any negative language and thoughts you have around money and you need to shift them to become positive. It's then about BEING the person who has the success you want BEFORE you even see it in your life. You can't get healthy by continuing to do the same things you did when you get sick, right? We know we have to become the healthy person first and then health follows. You have to become the abundant, affluent version of yourself and then the money follows. Want more money, clients and success? Get clear on how many and then ask yourself: what will that next level version of me do, wear, eat, act, think? Start doing those things now! That does not mean you have to go and max out your credit card - that won't help your money mindset one bit!! 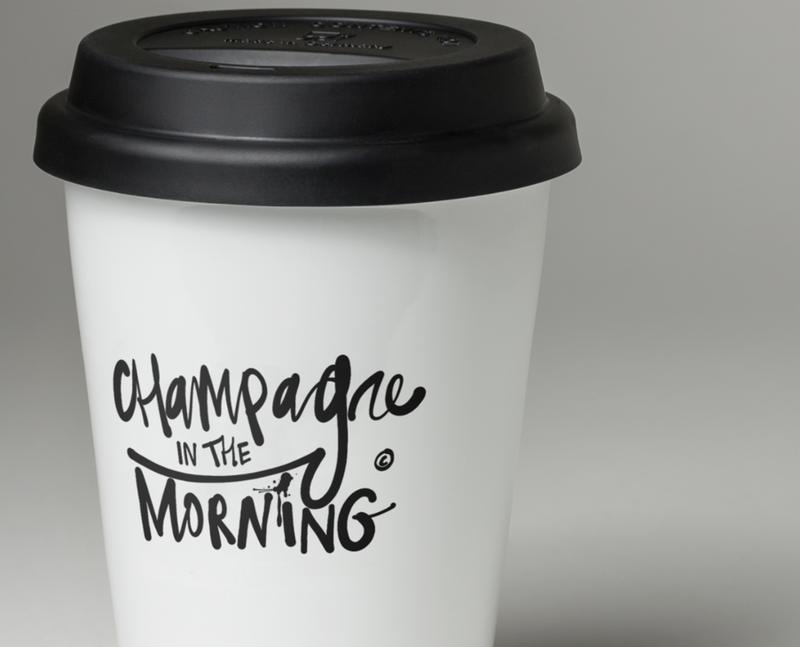 Go to the hotels you'd love to stay in and order a glass of champagne or a pot of tea. You have to put yourself in the surroundings first and then you feel comfortable and they feel like your #norm. THEN the magic can happen. All the time we're desperately wishing and hoping for money to come to us, it keeps us thinking about a future time. That's not how you attract money and clients. You have to FEEL abundant NOW. You have to feel as if you already have what you want - the wardrobe you want, the clients you want, the money in the bank, the Amazon bestseller. THEN your Subconscious mind can get to work on helping you start acting that way automatically AND you activate the powerful Law of Attraction. That's why I'm always talking about affirmations, vision boards, visualisations and writing 'as if'. When done right, they will completely transform your entire life - for the better. They get you into the STATE of having it already and that's when you are able to receive it. Sounds ironic right? But it's just what happens. Like an athlete seeing and feeling herself winning that gold medal over and over in her mind - literally thousands of times before she actually wins it. That's what you need to do too. I cover this in detail in my 21 Days to £5K Mindset course. That whole course is about shifting the way you think about, talk about and act around money. Click the link below, to find out more. As you can see from the photo, I'm currently sitting having a refuel of green juice and edamame beans at Wagamama's. I shopped 'til I dropped and now I've just sat down to write to you. I've had a great week welcoming all the members into my new Mastermind group. We've only just started week 1 and the women in the group are already making progress; with some feeling more confident than ever in what they do and another hosted an incredible style event after I helped her map out a clear structure to share her knowledge but still leave people wanting to hire her - it was a huge success! And this got me thinking about visibility. The mastermind is for a very select niche: Personal Stylists and it's a real investment. The women who signed up did so because they felt confident that I can help them to get more visible in their business by showing up consistently, in the right places, with a strong message. THAT'S how you get known and booked. I don't just work with Personal Stylist though so how did they know about me? Because I show up consistently and on purpose. I am VISIBLE. So I wanted to share my VISIBILITY CHEAT SHEET with you today. First you obviously need to know WHO your ICA (ideal client avatar) is and then you need to ASK her what she wants and needs. Survey your audience. Figure out what they're struggling with and create a solution that solves their biggest problem. Focus on ONE thing. Decide what you want to be known for and then get out there and OWN it. Find out everything you can, and need to, about your specialism, ideal client. This will help you stand out and be visible in your industry. One of the easiest ways to show up is by helping others. You started this business to make a difference so I know that won't be hard for you. Be helpful and give lots of value because this will not only make asking for the sale easier but it's one of the best ways to build the 'know, like and trust factor'. Get to know other people in your industry. I always say there's no such thing as competition. Your peers can be a much needed 'lifeline' on this entrepreneurial journey, as well as a source of referrals and access to larger audiences. They won't necessarily be targeting your ideal clients so help one another out. Uncover any blocks you have around showing up and being visible; including how you feel about asking for the sale. When we have doubts this massively affects how active we are both online and locally, in our business. Following on from the last point, if you have fears and doubts about your ability to help your ideal client then you need to keep taking action to increase your confidence and, of course, your skill. Practise, get some pro-bono clients, educate yourself and get training or mentorship in any area you're weaker in. There are so many other ways to get your message out in the world besides social media. Think about where your talents and strengths lay and use them to get yourself out there. For example: guest blogging, speaking on stage, writing a book, podcasting, etc. This one is obvious but can be the hardest. Put simply - if you want to build a business you love, you have to keep showing up regularly. Use the steps above to help you (wink). So there you have it, 8 ways to get more visible! Which one do you feel you need to focus on the most? Let me know in the comments below, I love hearing from you. P.S. If you're a Personal Stylist and want to take your business to whole new heights, there's still time to join us in the Mastermind. Click here to learn more. Are you ready to turn your styling business from hobby-status to a full-time success? 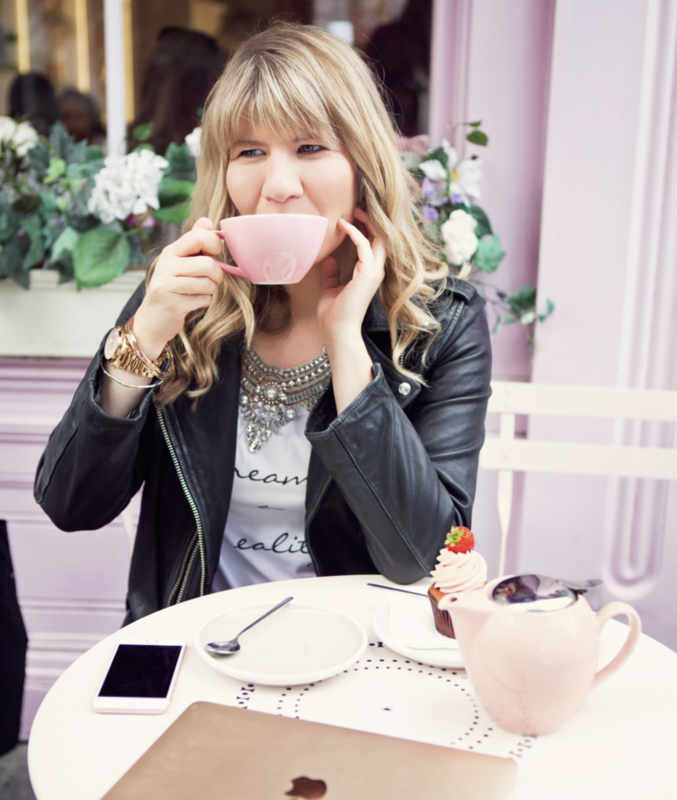 Last week, I had 2 enquires for personal styling services in the space of 24hrs! It still surprises and delights me when that happens because I haven't offered those services for FIVE YEARS! I pulled down my website 4 years ago when I decided to focus entirely on being a coach. Since then, I've worked with many other Personal Stylists to help them build a strong foundation and set up the business structures so they get client bookings coming though consistently. It's so exciting when clients FIND YOU! But it took me time to be featured in newspapers, get on BBC radio and collaborate with high-end high street stores, as a stylist. You can get there soooo much quicker with a helping hand. I want to help you collapse the timeline. Here are 9 ways to get more clients as a personal stylist. The first step is to decide that you're making a success of this business so you can quit your job, buy your dream wardrobe, take your family on luxury holidays and follow your dreams of helping clients around the world. Decide you're no longer available to NOT have this business be a success. Decide you want to be one of the success stories you read about. We do this in ORIENTATION week of Style Meets Structure. Get clear on who you are marketing to. Get clear on who you're truly excited to work with each and every day. Know her inside out; better than she knows herself. Then create your entire business around her. Write as if you are speaking to just one person. No more trying to attract men*, teens, women over 50 AND women under 30. Get crystal clear on pinpointing who your customer is. This is week ONE in Style Meets Structure. *Your ideal client can of course be a man. In business, you have to talk about yourself...a LOT. I know, I know. I used to hate this too! I wanted to just help my clients and if I could fade into the background then I was very happy doing so. I used to want the ground to swallow me up when it came to having to introduce myself at networking meetings. But that kept me client-less and broke! Talk about your accomplishments. And please don't think you don't have any. You need to show your potential client who you are so she knows YOU are the right personal stylist for her. Get confident in who you are and why you're amazing at what you do. This is week TWO in Style Meets Structure. Build your network and collaborate. There are MANY other people who are already working with your ideal client but not styling them. Find those people and offer value to them and they will HAPPILY put you in front of their audience (full of potential clients). This is the #1 way I built my personal styling business all those years ago. This is what I'm teaching in week SIX of Style Meets Structure. We will talk about who you can contact and what you can offer to get you exposure and paying clients. Be known as the go-to expert. Provide content that shows your strong brand and message. This is the #1 way I NOW get clients online. This is such an important and powerful marketing method that we will cover it in great detail across most modules of the course. When you work with your ideal client you can pretty much guarantee that she knows other people like her. After all, birds of a feature flock together. We will talk about how you can get referrals without feeling icky about asking your few current clients to tell all their friends about you in week EIGHT of Style Meets Structure. Keep telling people about you, what you do and your offers! That's not how people buy! I'll show you how you can get seen and known with a clear message and show up consistently without feeling like a nuisance! In week TWO you'll get clear on a program you're excited to offer and then we will build on getting it out there in front of the right people for the rest of the course. People think you have to spend huge amount on advertising to grow a successful business, this is simply not true. I do NOT spend a lot of money on advertising, even now. We will talk about WHAT you can advertise and WHERE (plus my tips on how much). I'll also share how I was able to advertise myself for FREE in many places that others used to have to pay for. This will be week SIX and TWELVE of Style Meets Structure. I'm not kidding when I say I wouldn't be where I am today if I hadn't invested in help. I wouldn't have the international business and amazing clients. I wouldn't have my gorgeous apartment. I wouldn't have the travel. I wouldn't have had my first £15,000 month (I used to make that in a YEAR!!!). I have created a 12 week group program and mastermind that is focussed entirely on helping 10 Personal Stylists to take your business to the next LEVEL and get prepped for a busy autumn/winter of clients. Every week you'll get in-depth business training, group coaching, a private Facebook group. You'll also get a 1:1 business coaching call with me. ROUND 1 & 2 HAVE TAKEN PLACE. CLICK HERE TO GET BUSINESS TIPS FOR YOUR STYLING BUSINESS AND TO BE THE FIRST TO KNOW THE NEXT TIME I RUN THIS MASTERMIND. Someone asked me for some tips on doing their first Facebook Live tonight so I thought I wanted to share them with you too. 1) Set up a group and go and practise in it so you know how to turn it on and off and ensure the lighting and background are good. 2) Practise an opening line so you start off confidently as soon as you see you’re ‘on air’. 3) Map out an opener, your main content and a call to action at the end. 4) Wear something you feel confident in. 5) Put your main points on post-its right next to your phone so they are easy to see and you don’t forget any of your key points. 6) Make sure you look INTO the camera and not at yourself. This is better for the viewer because you’ll be looking at them and also for you because it will remind you that you’re doing this for the people watching. 7) If you forget what you’re talking about don’t worry about it...just say that and laugh. That will bring your brain out of the freeze and you’ll seem real and authentic. 8) Have fun. This doesn’t need to be perfect. My first Facebook Live lasted 4 mins because I was so nervous but it gets easier and now I really enjoy them. 9) And remember this...only people who are pushing themselves out of their comfort zone and therefore growing that experience nervous and stage fright. So it’s a great sign if you’re feeling a bit nervous. If you're in my Facebook group or you've downloaded my workbooks you'll have heard me talking about the importance of having and building an email list. After all, you don't own the details of those 3k people you have on Facebook or Instagram (billionaire Mark Zuckeburg does), so you never know when they might change the algorithms again or decide to charge us for every business post we put out there. When I first started building my email list and sending weekly newsletters, I used to take it soooo personally when people unsubscribed. It made me doubt what I was saying and I'd put off sending them regularly. It made me filter myself and dilute my message and quieten my voice. It made me worry that I was somehow 'bothering' my list. Even just one of those thoughts is enough to sabotage any chance of building engaged fans who can't wait to hear from you. In today's podcast, I share why you should never take unscubscribers personally and how to change your mindset around it so you can keep show up and building a strong relationship with the people who came forward and handed you their email address. Got a question or comment about this? I'd love to hear from you in the comment box below. Before you go, are you a member of my 'Where Soul & Sales Collide' Facebook group? It's where I show up daily to inspire, motivate and share my best content to create a business and life you love.